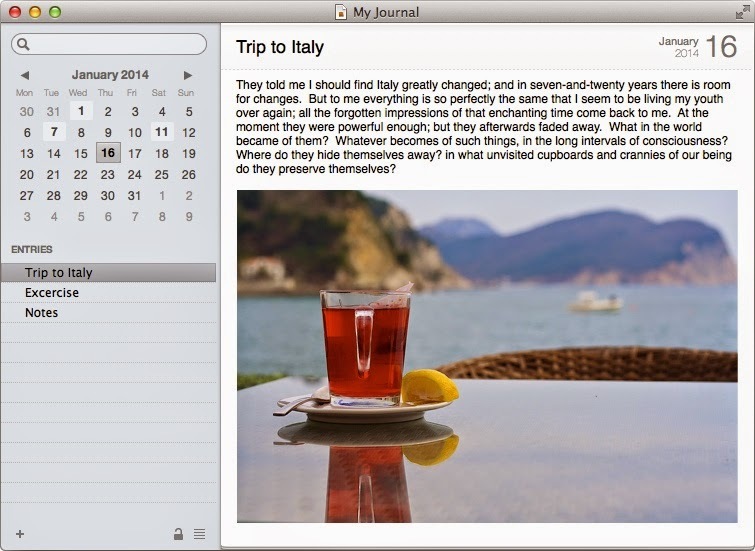 Mémoires is the easiest way to keep a journal on your Mac. Create mutiple entries per day. Insert pictures and draw sketches. Browse or quickly search entries. Now it also includes Quick Drawings, exporting to PDF, printing journals, full screen editing, and more. The new version also improves support for Mac OS X features: grammar checking, autocorrection of spelling mistakes, smart quotes and dashes, substitutions, and data detectors. It also runs as 64-bit application. Mémoires 3 has a free trial version, which you can download from the journal program website. You can learn more about this software application here.